Kathleen Wynne served as the premier of Ontario from 2013 to 2018, the first female premier of the province and the first openly LGBTQ premier in Canada. In 2018, she led the Ontario Liberal Party to one of the worst electoral losses in its history. After resigning as party leader, she returned to the provincial legislature to represent the Toronto riding of Don Valley West. She spoke to Deirdre Pike about her faith during the transition. Q: You’ve had a long history of involvement with the United Church. Do you identify as a Christian? A: I really do think I am a Christian. I was raised in a Christian family, and the way I was raised has had a tremendous impact on who I am today. I took my children to church so they’d have a base to choose from and so I could share with them how I found my moral code. I wear it more comfortably now. I am more comfortable at 65 than I would have been at 35 saying my faith has guided me. When I had difficult decisions and had to sort out the right thing to do, I turned to my guiding values and made decisions I could defend morally. Q: How has your faith helped you through the losses in your life, like the recent election? A: I haven’t suffered a big, tragic loss. Yes, I went through an electoral loss, but it’s not like the tragic personal losses others have faced. My faith has always been in the goodness of people and the community created by people. I don’t think of calling on God. When bad things happen, I look to my own inner strength and I look to those good people around me. If I sense God, it is outside of me. The closer I can be to the natural — walking in the forest or holding a baby — the more I can touch the goodness. I really believe there is a force for good, or we’d just descend into chaos. Bad things happen, and it is not the end. There is always the struggle. 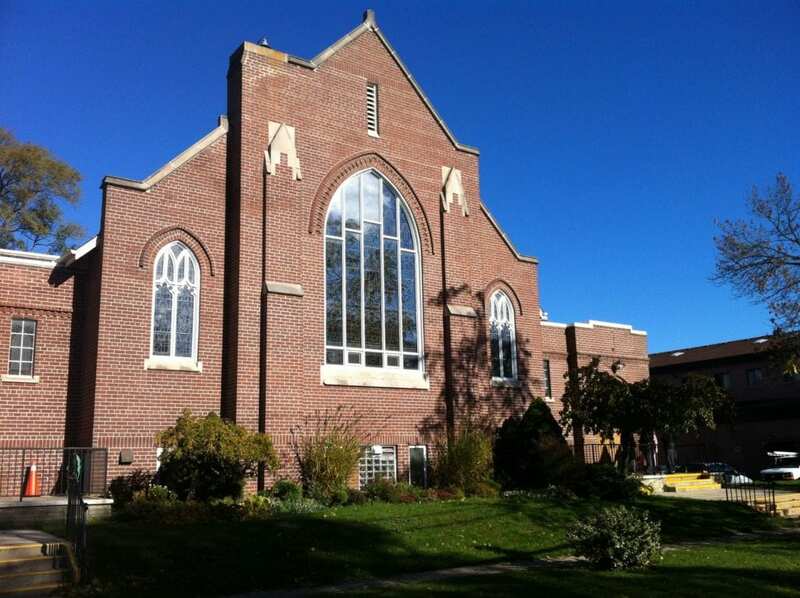 Q: Has your church congregation, Fairlawn United in Toronto, been a sanctuary in recent days? A: They always are. Whether in the church or outside it, the loving protection the Fairlawn community puts around me is a strong source of support. It has become clearer to me recently how important communities of faith are. They remain sustaining, protective places. Q: You’ve said the church should fight for a better world and engage in difficult conversations. What should the church be talking about right now? A: Church leaders need to be honest about what is going on politically. I know being political in that way is not comfortable for the church, but terrible decisions are being made that go against evidence. Don’t pretend that Premier Doug Ford’s actions are going to create a better world. We have politicians who won’t even speak to mainstream media. How do we sort out telling the truth to one another again? Q: What does your prayer life look like? Do you ever spend quiet time where you feel connected with God? A: I’m not sure I even know how to pray. We knelt beside our beds as kids. Now the closest I come to a meditative state is when I run. Or sometimes when I’m holding one of my grandkids’ hands or having a quiet conversation with them. We went for a hike in a provincial park recently, and it was just perfect. It was a beautiful day. The kids were happy — an innocent, unalloyed joy — it’s not prayer but it feels like it. We pray in order to be hopeful. It takes me out of despair and into hope. If I can get there, I can be of use to people. I try to go out the door hopeful. Q: It’s been said the Gospel “comforts the afflicted and afflicts the comfortable.” What scripture passage or sacred music has comforted or afflicted you? A: Music is a sanctuary for me. There has always been music in my life. Songs like Lord of the Dance lift me and bring me from sadness and despair to hope. It taps into something very deep. There is a song at our Easter service, In His Mother’s Eyes, composed and led by Eleanor Daley, Fairlawn’s music director. When I listen to that piece of music, it’s deeply moving. I wait for that moment all year. The scripture passage that most disturbs me is the one with the money lenders and the flipping over of the tables. Jesus was a disruptor. We have created structures resistant to disruption. Jesus was the agent of change. He would want to make a better planet. He would not be afraid to make climate change commitments. When someone I’ve never met before has hatred toward me, I have to stop and think about what has happened in that person’s life to make them respond to me in this way. That stops me from taking what they’re saying at face value. Q: You’ve had to endure a lot of vitriolic comments and accusations. Even the discourse in the legislature can be angry and uncivil. What helps you through that? A: I was trained as a mediator. I have trained myself to listen and be with people — in families, workplaces and communities — in very contentious situations. Those 10 years as a mediator stopped me from being judgmental. In the legislature, there I have to detach. I literally concentrate on something else. It takes an act of will to remove myself. In that situation, there’s no point in listening. It’s rhetoric on all sides. The drive-pasts — people yelling from their vehicles — impact me. When someone I’ve never met before has hatred toward me, I have to stop and think about what has happened in that person’s life to make them respond to me in this way. That stops me from taking what they’re saying at face value. Q: You have often referred to the things that keep you awake at three in the morning. Do you still worry in the middle of the night? A: I am up less at three in the morning, but I am more worried all the time. I used to worry about decisions, but I had the levers of power then. Now, I get up and read the paper and I have to fight back the despair and take hold of the things I can take hold of. When I was premier, I could make things better. The loss of that is the hardest. In the middle of the night, I look out the window, and there’s something about looking at all those houses. It calms me. Then I’m not alone. That’s the thing. We’re in this together. Deirdre Pike is a newspaper columnist and social justice advocate based in Hamilton. Kingston Penitentiary is now a tourist attraction. Is it trading on tragedy? Three years after Canada's oldest and most notorious prison shut down, tens of thousands of tourists want in.